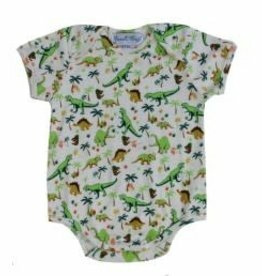 Cotton baby grow with dinosaur print. 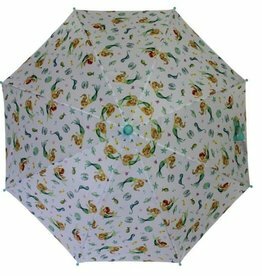 Shower resistant PU umbrella in our Mermaid design with mint green handle. Fastens with velcro tab. 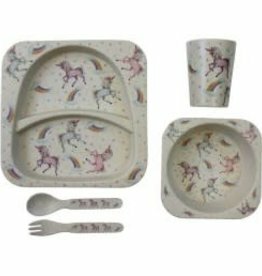 SIZE: Length 65cm, Diameter of open umbrella 90cm. 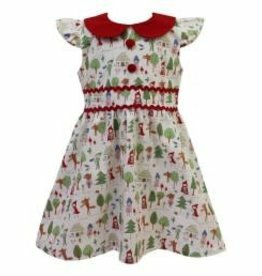 Red Riding Hood short-sleeved dress with red peter pan collar and cap sleeves. 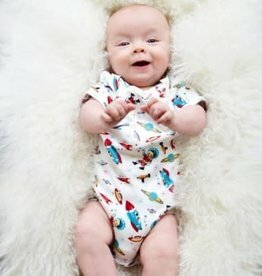 Cotton baby grow with rocket and space print.